Germany is right now, economically speaking, the strongest country of the European Community. If you want to move to Germany, to make business with the Germans or just travel, you should speak at least a little German. It’s an act of courtesy and an insurance for yourself. It is well known, that the best speaker of a language are the native speakers, but the best language teacher are foreigners. Because they are mastering the grammar rules and they know from their own experience, which problems the learners encounter. 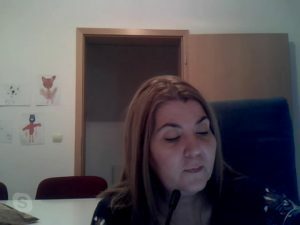 If you need Online Tutoring in German, via Skype or Google Hangouts, here I am: Cristina Anghel, Trainer for German as a foreign language and psychologist. I have the C2 level in German, because I studied in Austria and in the German school in Bucharest, where I got my Abitur (diploma from German secondary school qualifying for university admission or matriculation). I teach German since 2009, especially for the medical doctors leaving to work in Germany, who need the B2 or C1 level. The feedback is very satisfying, you can see it on Google. 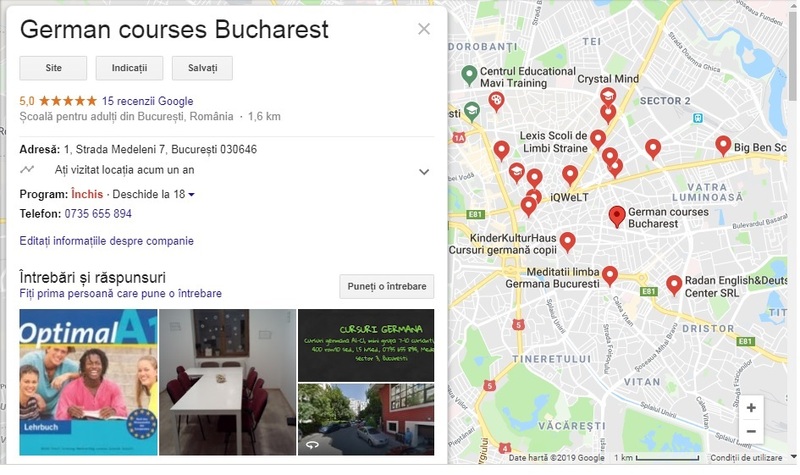 All you need is availability, a computer / tablet / smartphone with a good internet connection, a video camera, a microphone and a google account. Meetings can take place via Skype / Google Hangouts (for which is required a gmail account). For a good process of the online German course you need to create a frame as close as possible to one in a room course. Please be punctual, because you will be wasting precious time for you from the Skype session. We’ll start the first session about 15 minutes earlier to make sure that, from a technical point of view, everything is ok. At the appointed time and day, you will initiate a video call on Skype / Google Hangouts (https://hangouts.google.com/). Sessions canceled at least 24 hours before can be rescheduled. Unfortunately, those canceled during the same day can not be rescheduled, but the meeting is still paid by you because the schedule is set based on customer requests and the time is allocated to that customer.